I don't know about you, but I make it a special policy to avoid discussing political philosophy with a guy who wears social commentary tattooed to his densely muscled arm. I make it a really special policy to avoid such discussions when the aforementioned arm terminates in a clenched fist packing the horsepower to hammer the propaganda through the hole where your teeth used to be. Dave rarely incorporates explicit political commentary into his work; this centerspread is a notable exception. 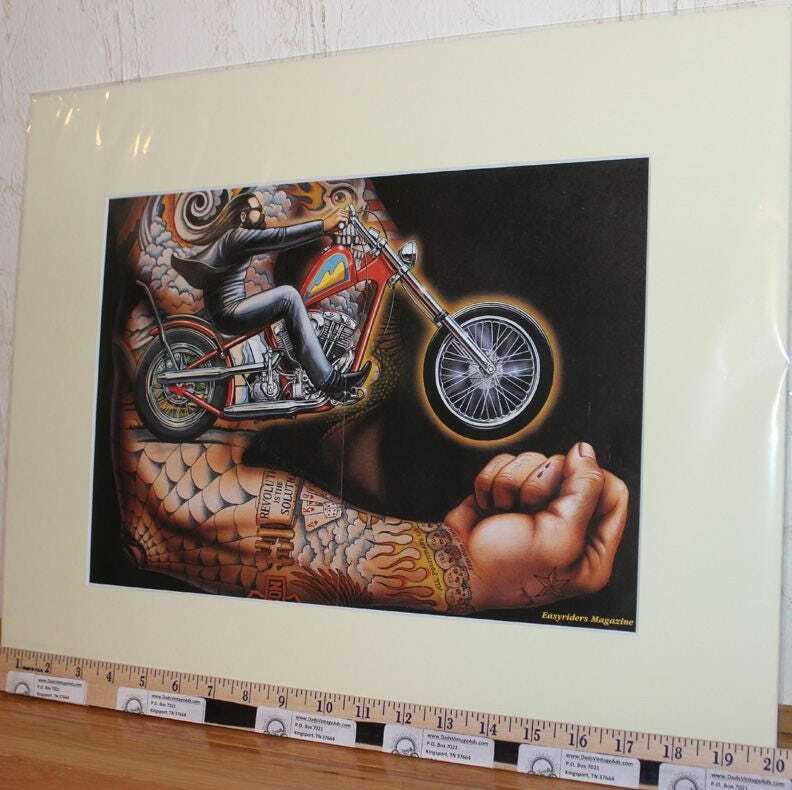 The artist's fundamental distrust of the establishment, as well as his characteristic social irreverence are exemplified in the intriguing collocation of inked images and words adorning the beefy arm with the escaping tattoo. 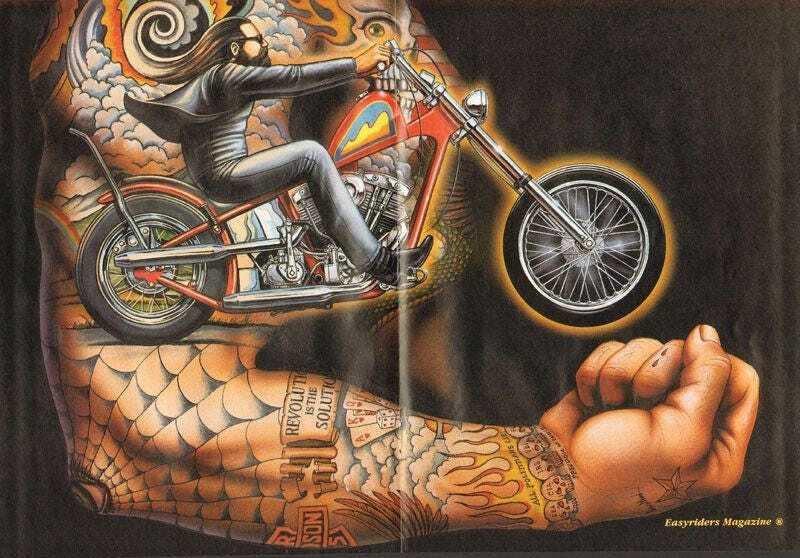 Produced for the magazine's 1992 special tattoo issue, the work is another example of "living art" surrealism. The painting combines stunning visual elements with an overt political posture rarely seen in Dave's art.